This month, our church has encouraged families with elementary, middle, and high school students to worship together in lieu of their regular Sunday morning programming. It was an idea that surfaced at the end of last summer and again this past April at a staff meeting. It wasn’t really a hard decision for us to make because of two observations: (1) last summer it was almost impossible to recruit volunteers to serve because of August travel schedules and (2) summer is a good time to try something different. We had also been asked by several families to promote this type of initiative. After a number of collaborative brainstorming sessions between Children’s Ministry, Student Ministry, Worship Arts, invested parents and Senior Leadership, we decided to go for it. But we wanted to be strategic about our approach. We wanted to give advance notice to our congregation, so we began announcing this change a few weeks out. Our first announcement fell on our VBS Celebration Sunday (when there were many families – regular attenders and visitors – were in attendance.) Our Family Pastor even gave the children a bit of a teaser by announcing that a special ticket book might show up at their house. *See below for more info about this. In addition, a number of promotional material was prepared. We contracted a designer to create a Worship Together logo that was used on promotional material through the Sunday bulletin, our weekly e-newsletter, a letter that was mailed home to parents, our website and video. Our promo videos included a rising 6th grader being ‘interviewed’ by one of our preachers; a skit by members of our Family Ministry team and one by me (gasp)! Being very intentional about including children and students in the service is something we also desired. This included a special blessing that parents could over children and students on Communion Sunday; creatively telling the Bible story through skits (involving children & students); and using examples that kids could relate to. Our contracted designer also designed a pew card that explained the elements of the service and why we do them. Supplying children’s worship bags was also a way for us to be intentional about including younger children in the service. Each bag (a small, bright yellow plastic bag that I had on hand from a previous event) was filled with crayons, a pencil and that week’s specially designed children’s bulletin. Our children’s bulletin was a one-page bi-fold which included a cover page; a place for older children to take notes (write down the scripture, who was preaching & what they learned); a place for children to circle corresponding pictures every time they sang a song, prayed, gave an offering, took Communion and read their Bible; and 2 activity pages (we varied the activities each week and chose crosswords, coloring pages, decoder puzzles, mazes, etc.) Remembering that we were catering to children in grades 2-5, we wanted to offer a balance of activities to suit the wide age span. Earlier I mentioned a special ticket book for families. We mailed a ticket book to families with elementary-aged children so that the children could redeem tickets each week for a special small treat. We chose some items that corresponded with the scripture text as well as general items like pencils and bookmarks. I am hearing pretty good feedback from parents and other adults about how much they’ve enjoyed worshiping together and seeing the children in worship. Our prayer is that Worship Together would become a regular practice among families at our church. What about you? 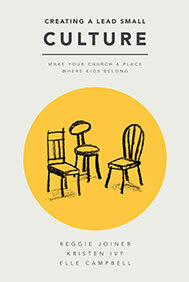 Does your church encourage families to worship together? For the past several months, our Family Ministry staff team has met to brainstorm and process what Family Ministry could look like at our church. Two key elements that remain at the center of our discussions are (1) we believe that parents should be the primary influence in their children’s lives and (2) our role as a church is to come alongside families and equip them to be that primary spiritual influence through intentional programming and resources. I recently took a look at materials from Be:Kids, a fairly new organization that provides free family devotions to use throughout the week to encourage parents to be involved in discipleship within the home. Be:Kids co-founder Meredith Chapuis asked me to take a look at the free resources that they provide for this purpose. 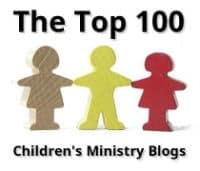 Their blog encourages parents with scripture, reminders about what’s important and prayers. 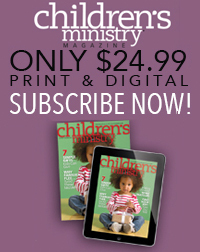 They also feature real families who share their stories of discipling their children. What I love is the action plan that comes with the weekly devotional. Sometimes parents who desire to lead a devotional time with their children don’t always know how to do it. And the printable lunch box notes look amazing! Click the #Be Box image above to take a peek at what was included in January’s box. 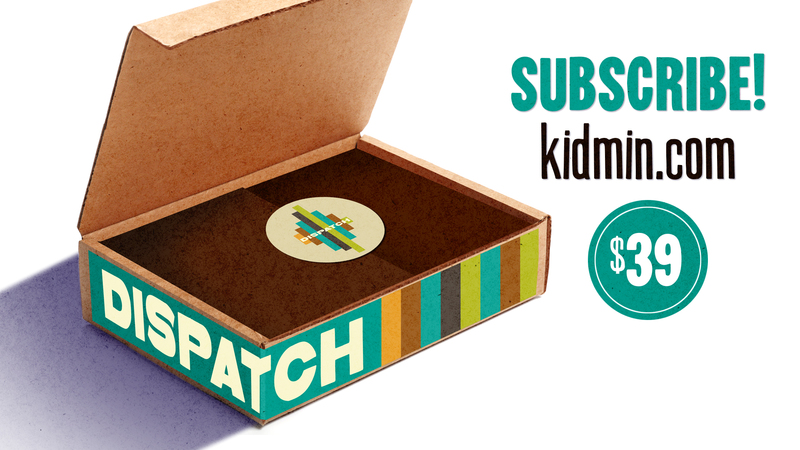 Check out the resources for yourself & tell them Kathie sent ya! You can also connect with Be:Kids to stay informed of new resources when they become available. This is one resource that I could not wait to share with you. The title alone was enough to capture my attention. What child doesn’t love to receive mail? In this heartwarming lift-the-flap picture book, children can open and read their own personal mail from God as they experience some of the best-loved stories of the Bible. As each captivating story unfolds, children will eagerly await the opportunity to open the envelope and read God’s message of love written especially for them. They will also delight in the final envelope that encourages them to write their own personal letter to God. This storybook is unlike any other I’ve ever read – and I have read quite a few. Each beautifully illustrated story begins by using very kid-friendly language to explain Bible truths. Each story ends with a related Bible verse (from the very kid-friendly New International Reader’s Version) that is a promise from God and a love letter from God to the child. I love that the love letter begins with Dear ________ to personalize to the child reading it. Even the title of the Bible stories were unique, such as “Noah Needs His Nails (Noah’s Ark) and “The Lions Who Lost Their Lunch (Daniel in the Lions’ Den). And as crazy as it seems, I love the book’s size. It’s perfect for an older child to read on their own as well as the perfect size for a parent to read to their child – the child would have no problem seeing the pictures or opening the love letter flap. In my opinion, nothing was missing. This book should be part of your family’s storybook library. Glenys has graciously offered to give a copy away to one of my readers. Enter to win a copy by emailing me at kidminspiration@gmail.com. Deadline to enter is 11:59pm Monday, January 26th. Glenys Nellist was born and raised in a little village in northern England. Her stories and poems have been published in children’s magazines where her writing reflects a deep passion for bringing the Bible to life for young children. Glenys lives in Grand Rapids, Michigan, with her husband, David. 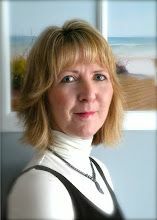 For more information, visit www.glenysnellist.com. Hi! 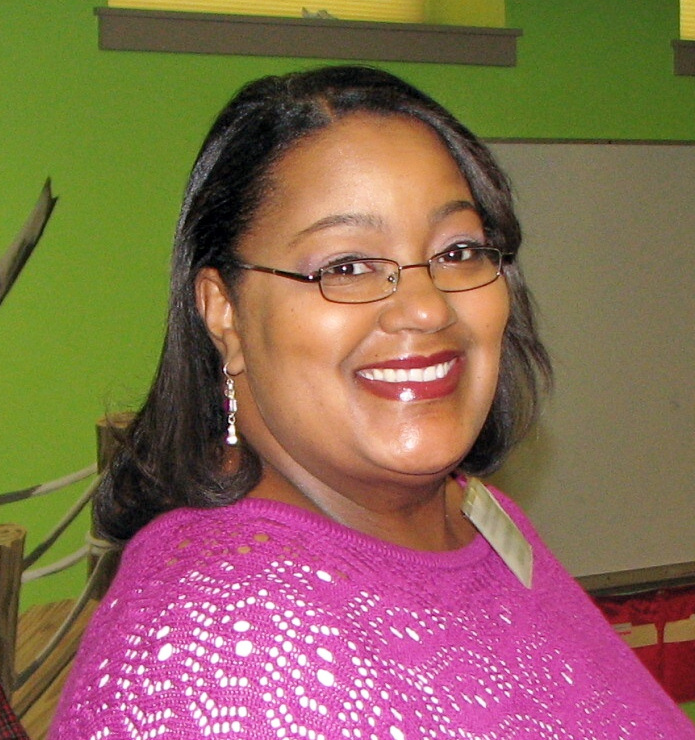 I'm Kathie - Christ-follower, wife, mom, KidMin enthusiast, and Director of Children's Ministry (Birth - Grade 5) at Central Presbyterian Church in Baltimore, Maryland. 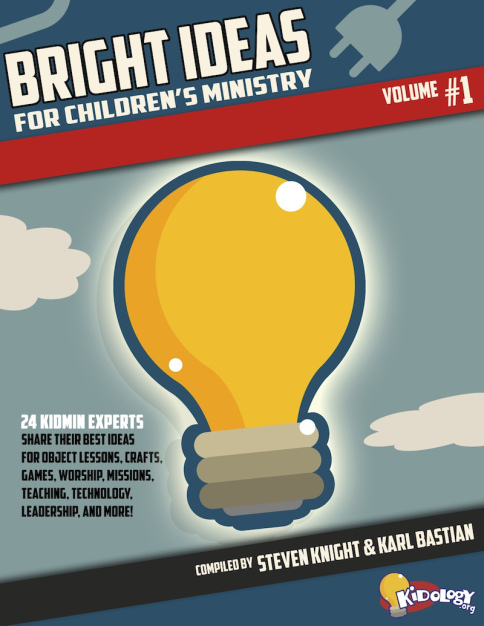 I write here to share practical tips and inspiration with KidMin leaders, volunteers and parents. Thanks for stopping by! If you like what you see, please consider subscribing so that you don't miss a post! We’re on the Top 100 list of #kidmin users on Twitter! Oh wow! Thank you, Jeff!